Urban Cafe which recently opened at Saket has introduced delecious Vietnamese menu. 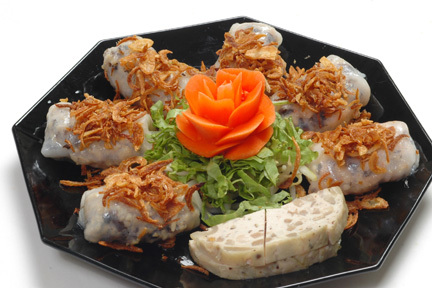 Menu offers dishers like "ca nuong kieu Hanoi(Fish Hanoi style)" and the "bo noung ong tre Hanoi"(stir firied angus in pepper sauce flambeed and served in bamboo) as delicious as it sounds, the better it is when you enjoy these dishes. Vegetarians can savour dishes like cu senn don rau chien gion sot me (crispy lotus root and vegetable delicacy served with tamarind sauce) and "the dau hu hap cau thia sot sate" (steamed tofu parcels with pakchoi in sate sauce). Open from noon to 1 am a meal for two is priced between Rs. 1500 and 2000. Which seems to be quite affordable, your gormet senses will be enthralled after having these dishes.